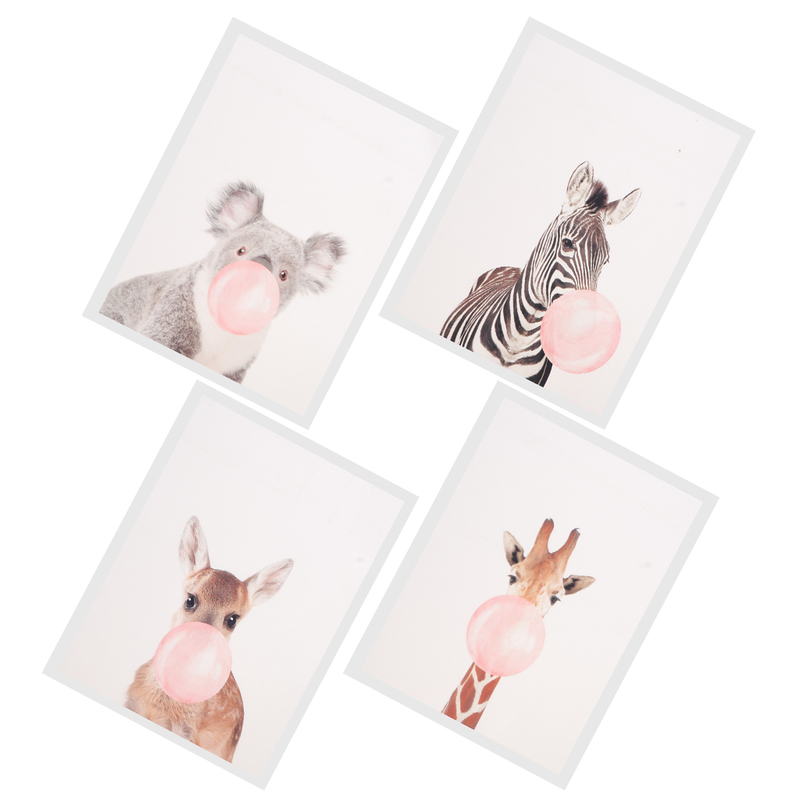 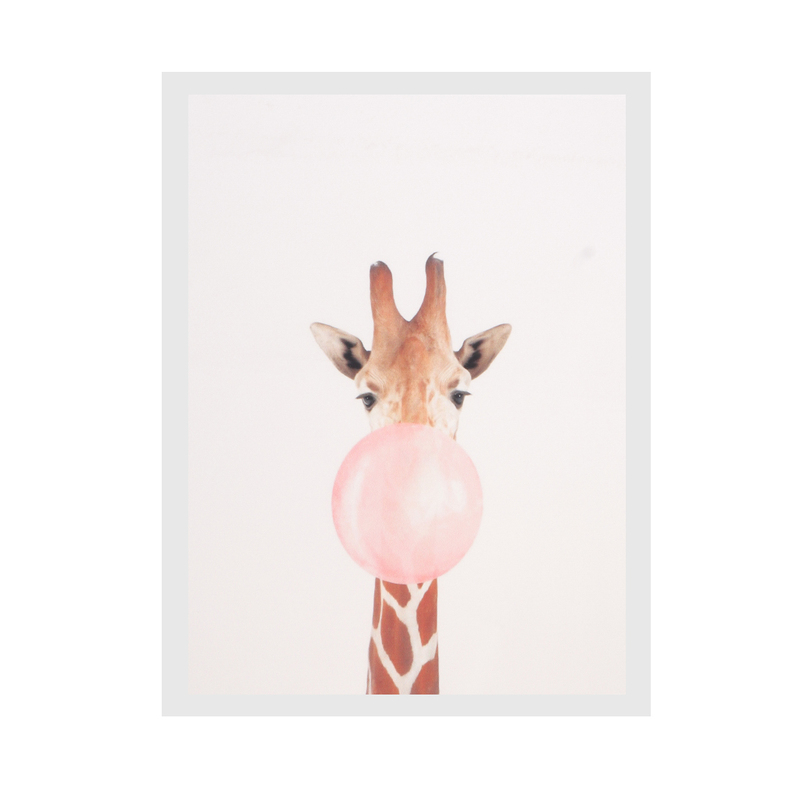 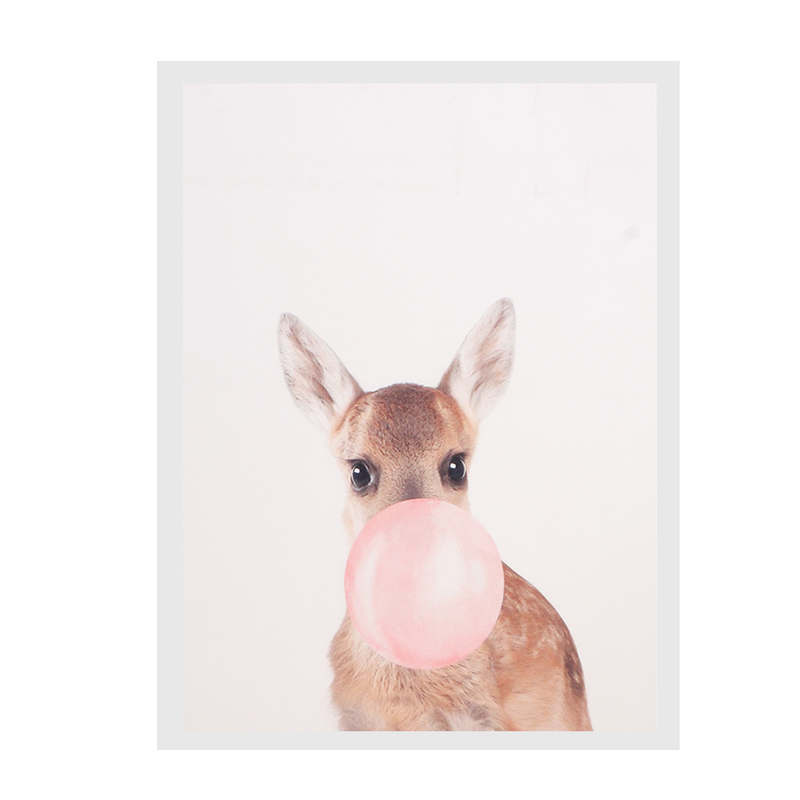 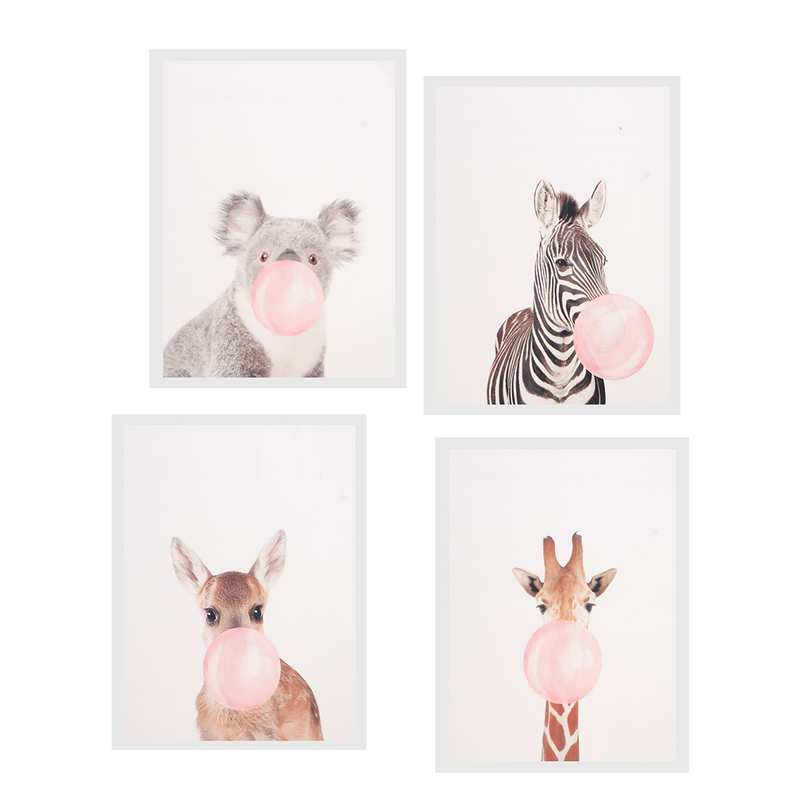 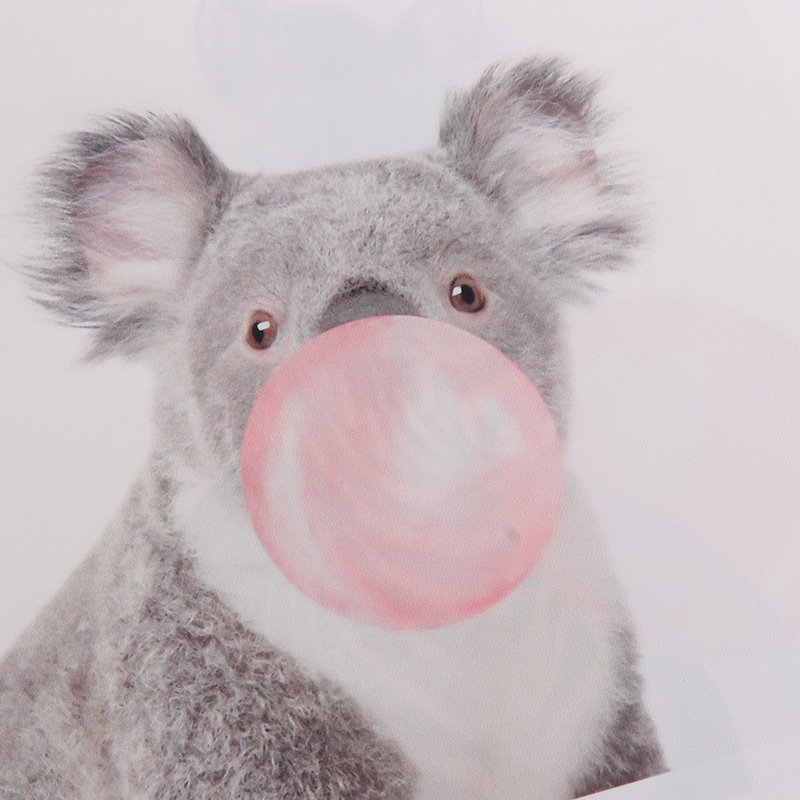 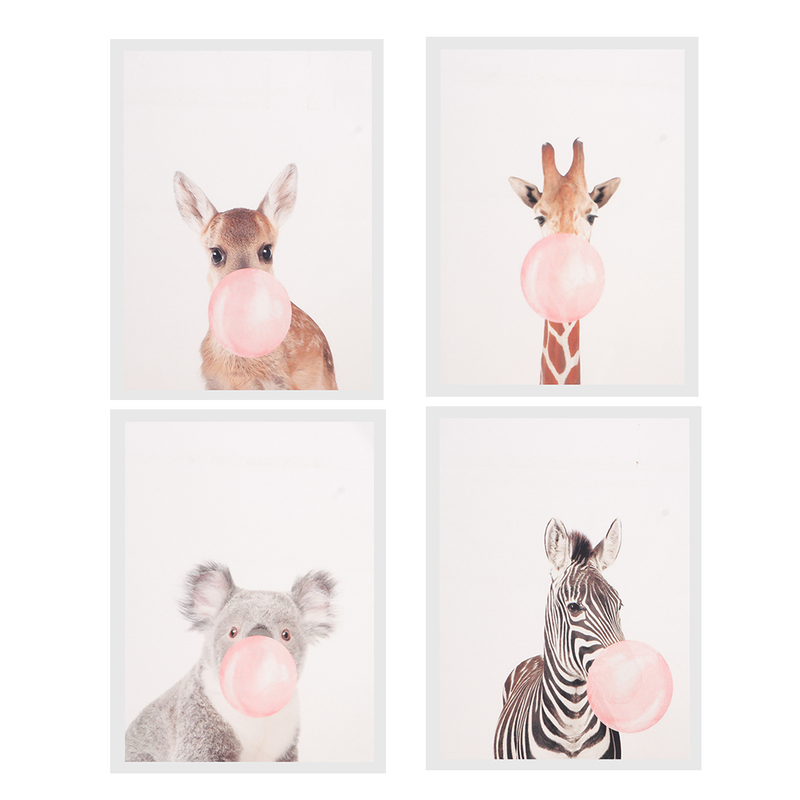 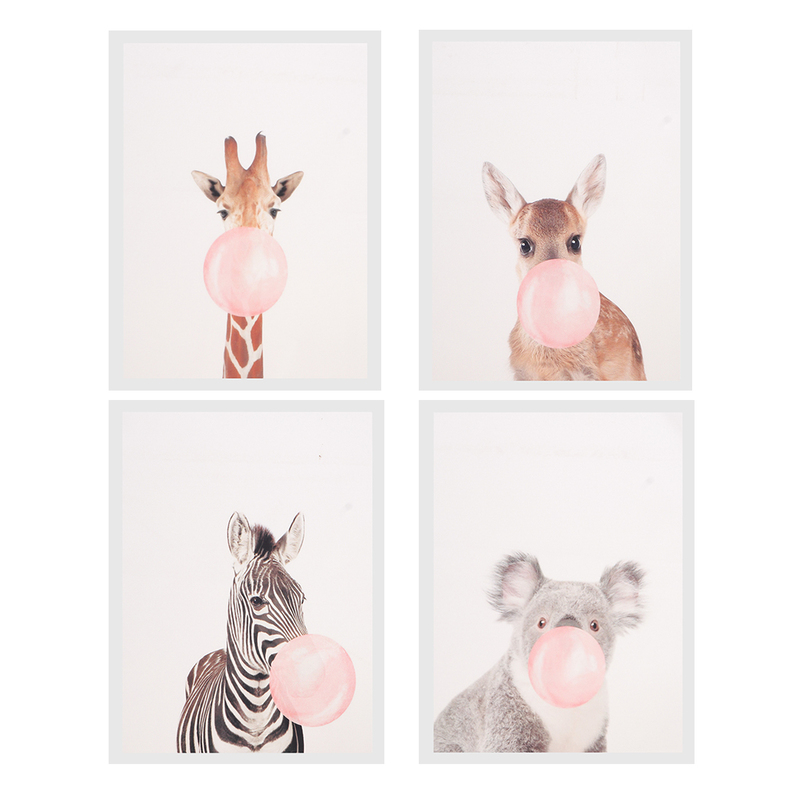 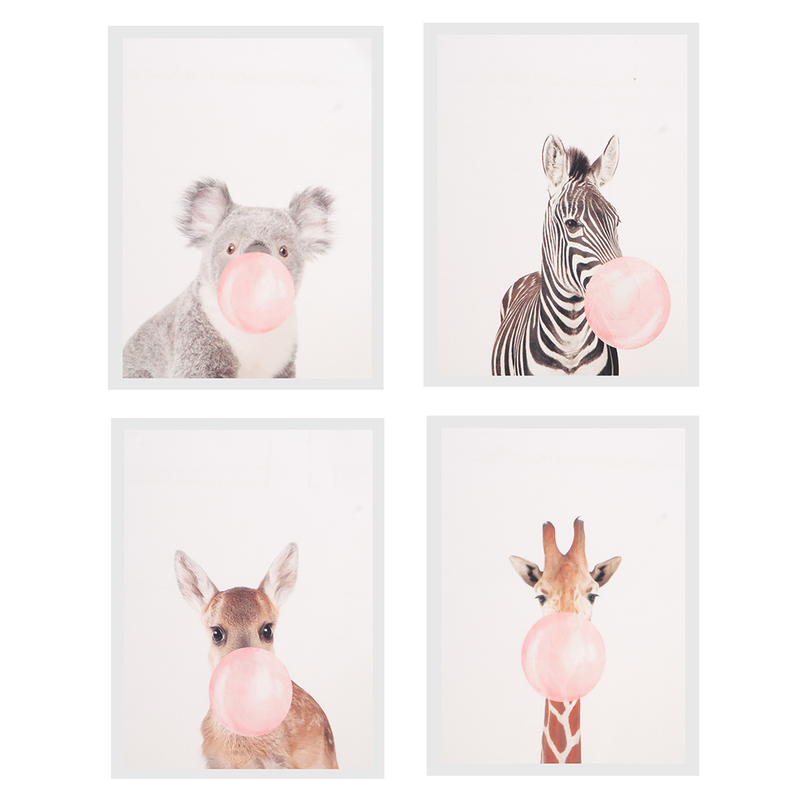 4 Panel Canvas Oil Painting Wall Decor Art Picture - Animal Blow Bubble Gum, for home chic decor. 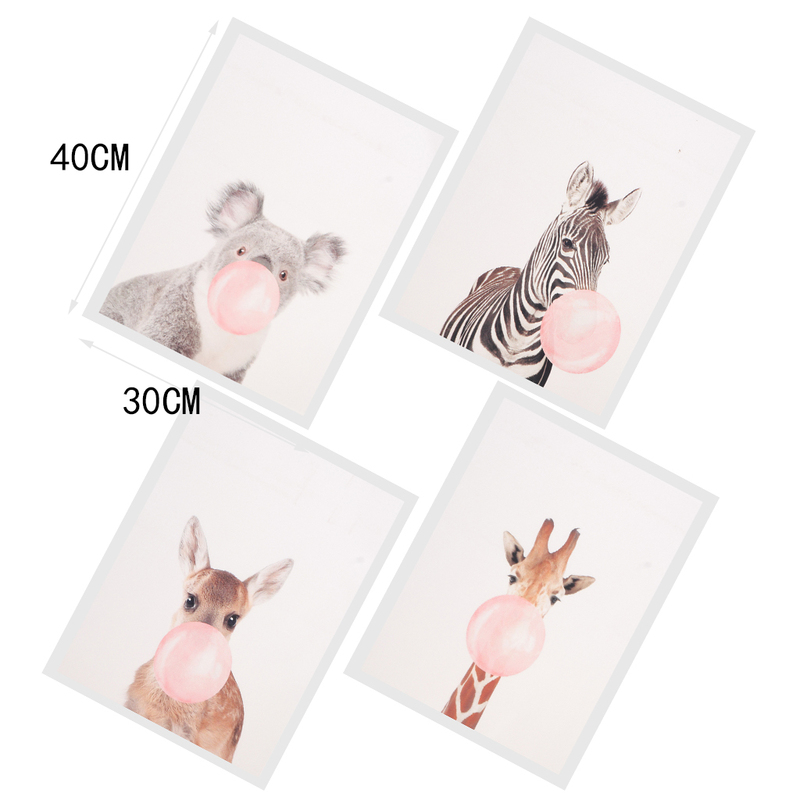 Brand New, quality canvas material, waterproof and sunproof, durable and non-toxic. 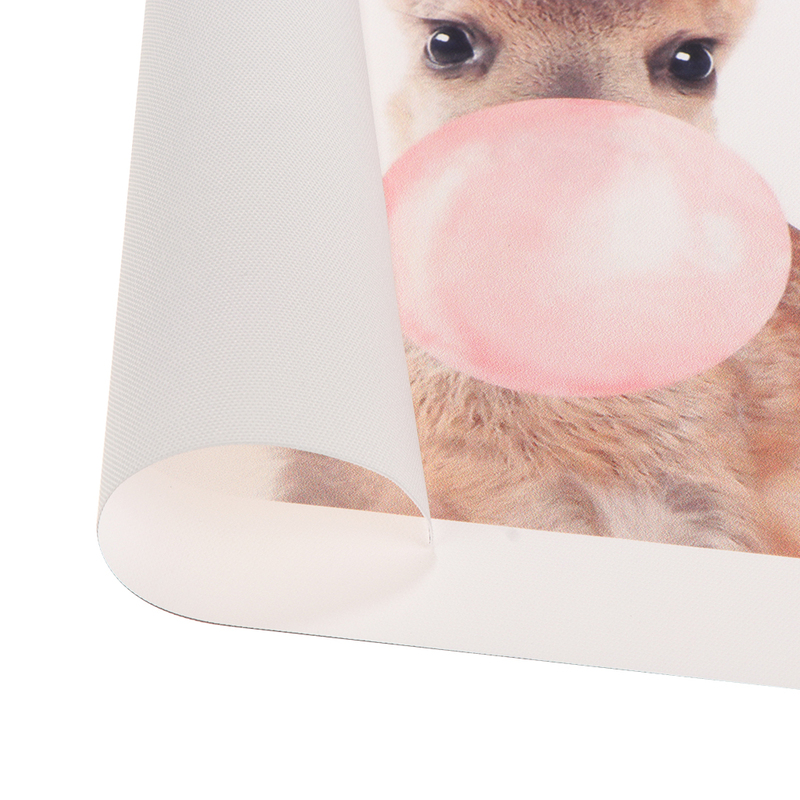 Comprises of several small sections making up one large when placed together. 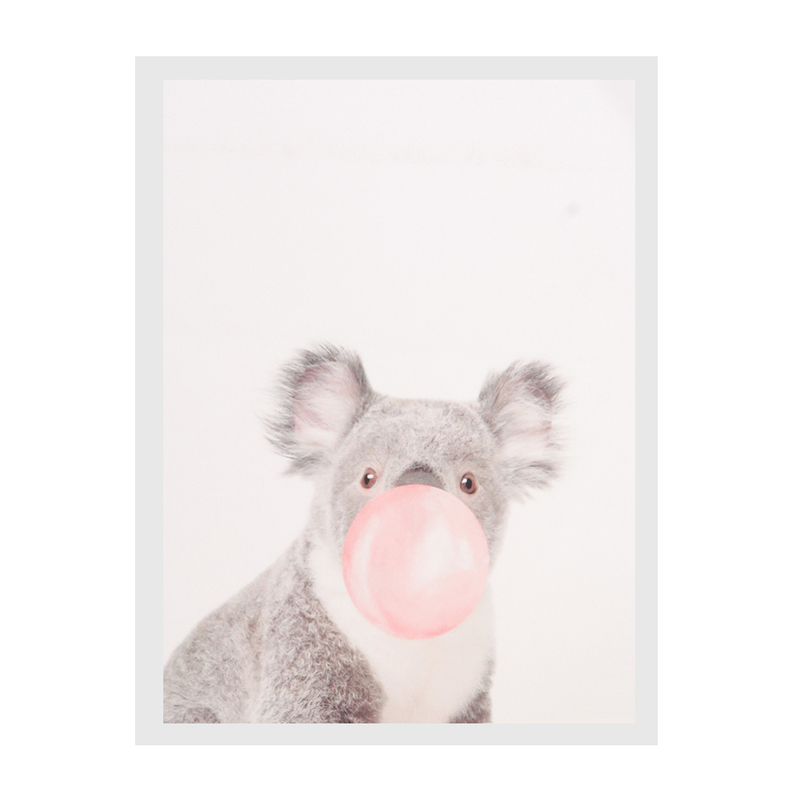 Using the best printing equipment to give you a finished product of highest standard. 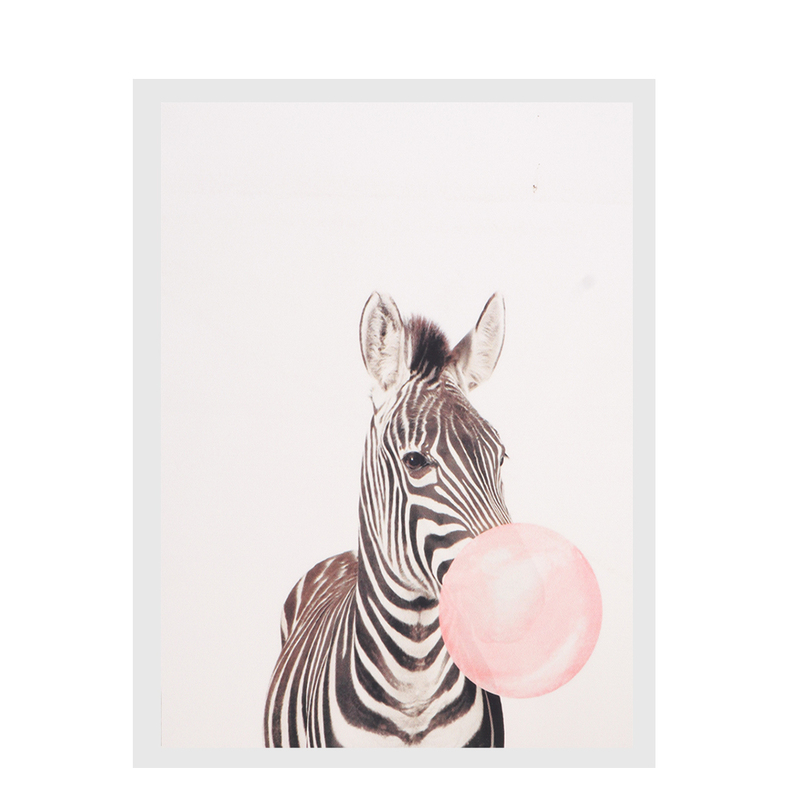 Nice for home decoration, vivid and full of art atmosphere. 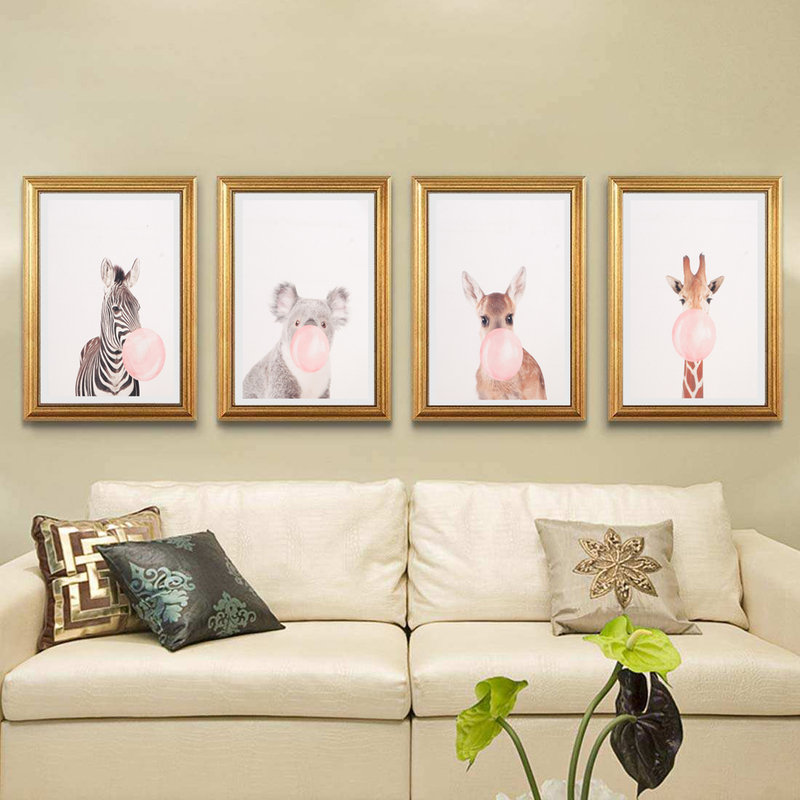 Applicable places: Home, hotel, office, restaurant, cafes, living room, study, bedroom, dining room, resort, gallery, hallway, aisle, leisure club, etc.